[Guest Film Review] "In Between Seasons"
Lee Dong-eun's debut was developed and produced in the Myung Films Lab, an industry initiative to support new directors. Lee (an economics major) wrote it as a graphic novel before turning it into a film. "In Between Seasons" (Festival entry) is screening at London Korean Film Festival that will be on October 26 to November 19. The story unfolds in two axes, one in the past, and one in the present. In the first one, we watch Mi-kyeong, a middle-aged woman, raising her son, Soo-hyeon, on her own. Her husband is constantly away for business in the Philippines. Mi-kyeong thinks she knows everything about her son, but she is actually clueless as she does not even realize that her son is gay and that his close friend, Yong-joon, who spends much time with him, even in their house upon her invitation, is his boyfriend. In the second one, the two boys have suffered an accident that left Soo-hyeon in a coma. Mi-kyeong has realized his relationship with Yong-joon, and she is quite frustrated about it, despite the fact that she has paid for Yong-joon's medical bills also. Yong-joon wants to take care of his boyfriend, but Mi-kyeong does not want him around, and even hides from him the fact that she transfers her son into a recuperating facility in the country. At the same time, her relationship with her husband becomes even worse. Lee Dong-eun directs and pens a film that centers on two topics: the relationship of children with their parents, and homophobia, both of which mostly revolve around the character of the mother. Regarding the first aspect, Lee makes a point of depicting how parents do not know their children, particularly because they think they know everything about them, and do not bother asking. Although in Mi-kyeong's case, the cluelessness seems to derive from her conservatism, which would not ever allow her to believe that her son is gay. The second aspect comes to the fore in the second axis, with Mi-kyeong not being able to fathom her son's relationship, with Yong-joon being a constant source of irritation for her, despite his impressively patient behaviour towards her attitude, and his evident love for his boyfriend. Although the comments are interesting, I felt that the film lacks in terms of presentation, since all of them are depicted in a somewhat detached fashion, with no kind of exaltation whatsoever, which eventually makes the film difficult to relate to and even irritating at some points. This tendency finds its apogee in a scene where Mi-kyeong confronts her husband and asks him, "Can I slap your face? ", with the conclusion being quite expectant, despite the fact that this is one of the most amusing scenes in the movie. The same applies to the various "confrontations" with Yong-joon, where his timid and reactionless attitude moves in the same direction. In that fashion, Bae Jong-ok's performance as Mi-kyeong becomes somewhat indifferent, despite the permeating realism of the portrayal of a truly sad woman. The same applies to Lee Won-geun as Yong-joon, although the the script presented both with a number of instances that could become very strong scenes. These however, do not mean that the film is without merits, most of which derive from the production values. In that fashion, the production in general is outstanding in a very polished way that benefits the most from Lee Kun-sol's cinematography, which includes great framing in the interiors and some very beautiful images in the exteriors of the sanatorium. Oh Byeng-joo's editing is also quite good, as he presents the two axes in a way that keeps them from becoming confusing. "In Between Seasons" has its merits and an interesting central theme, but the lack of strong scenes and the slow pace deprive it from any significant impact. 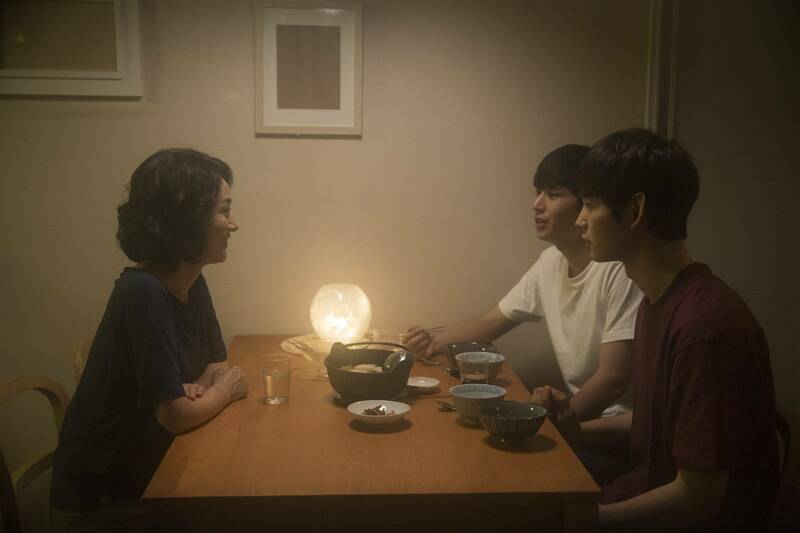 "In Between Seasons" is directed by Lee Dong-eun and features Bae Jong-ok, Lee Won-geun, Ji Yoon-ho and Park Won-sang. Panos Kotzathanasis is a film critic and reviewer specialising in East Asian Cinema. He is the founder of Asian Film Vault, administrator of Asian Movie Pulse and also writes for Taste of Cinema, Eastern Kicks, China Policy Institute and Filmboy. You can follow him on Twitter and Facebook. Panos Kotzathanasis can be contacted via sinkazama82@gmail.com. "[Guest Film Review] "In Between Seasons""
[Guest Film Review] "The Day After - 2017"
[Guest Film Review] "Warriors of the Dawn"